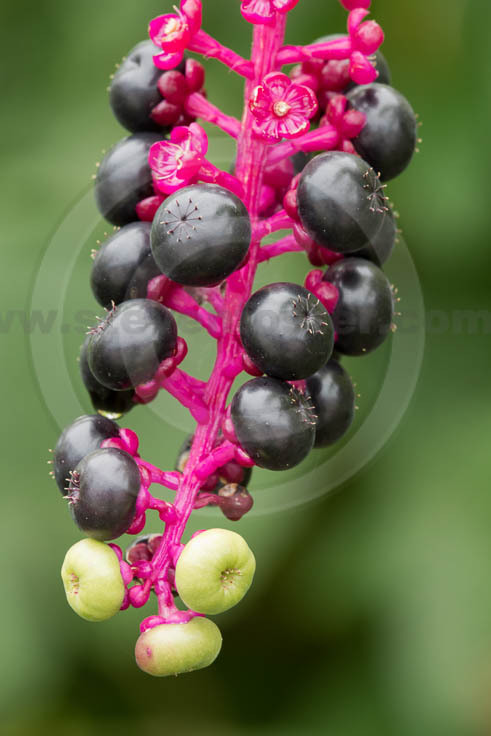 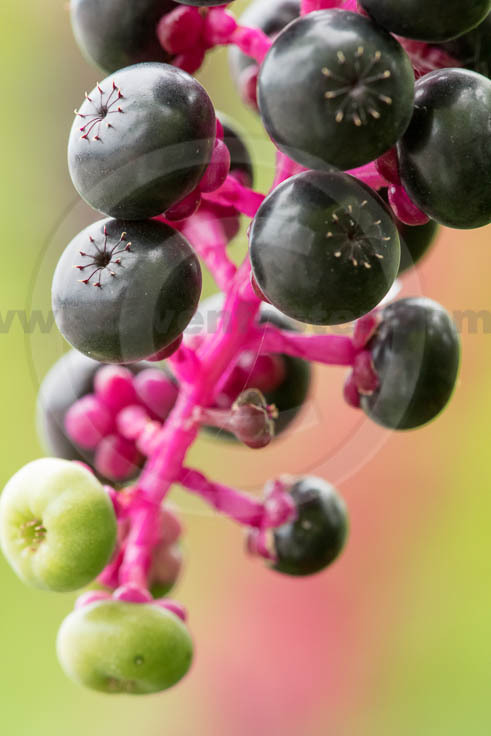 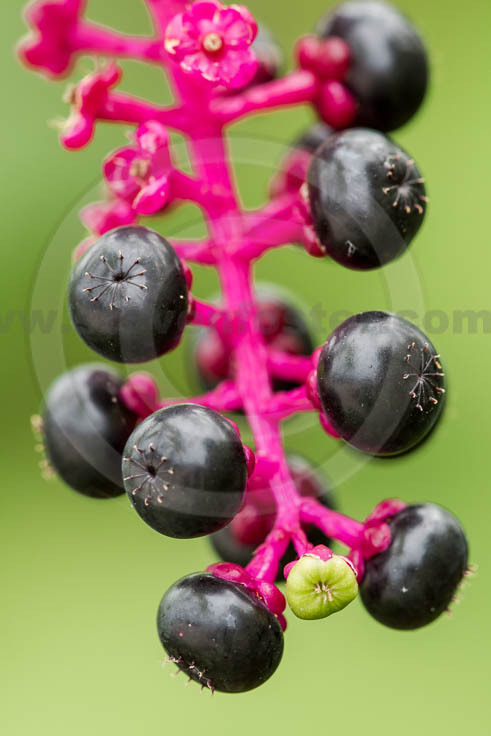 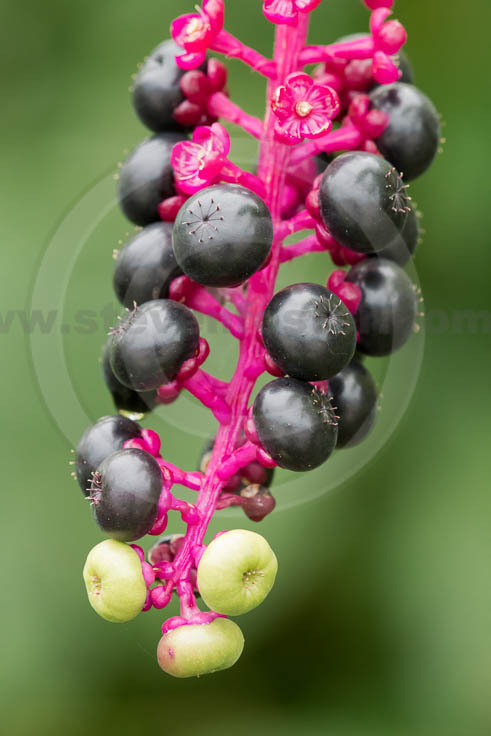 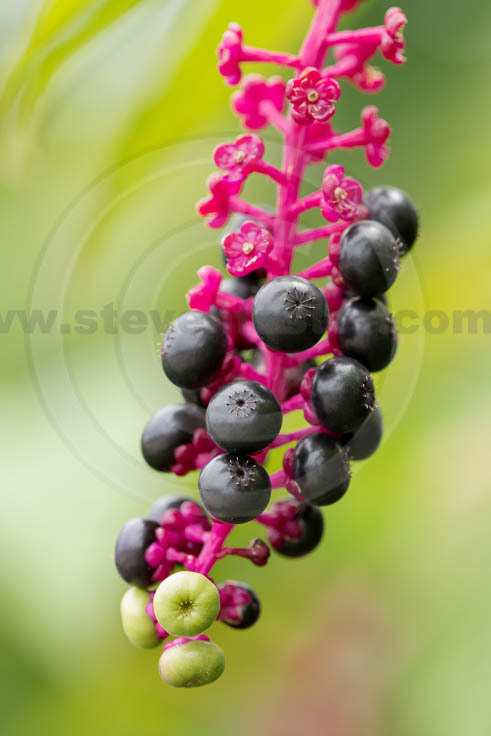 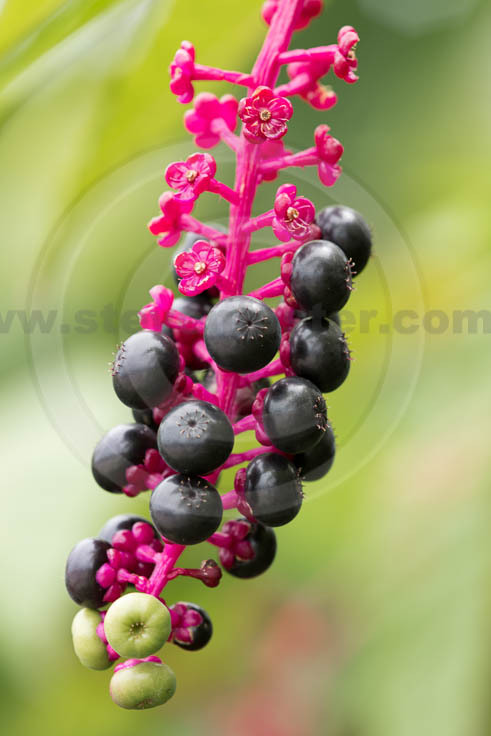 Phytolacca americana, Poke, Pokeberry, Pokeweed, Pokeroot. 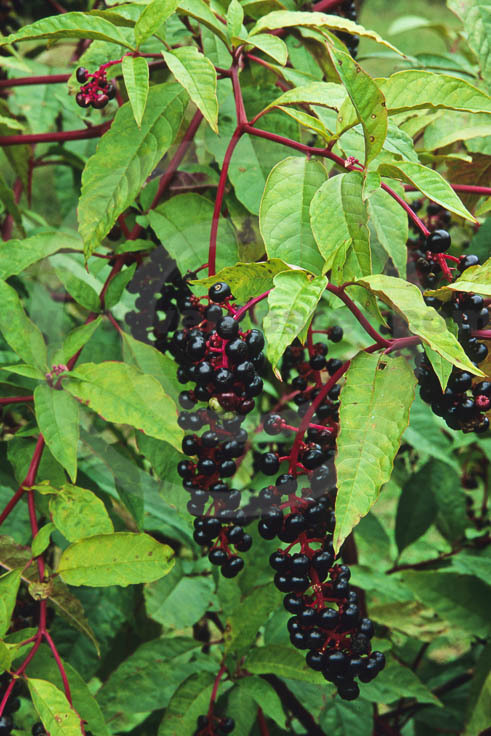 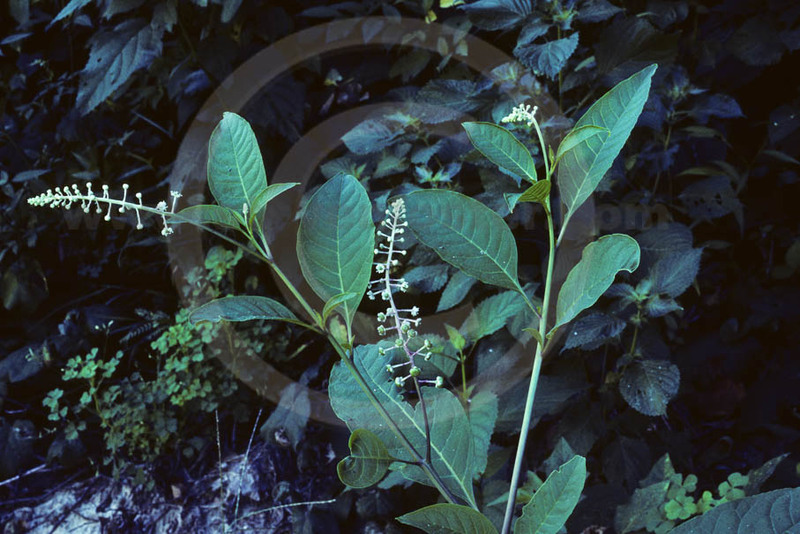 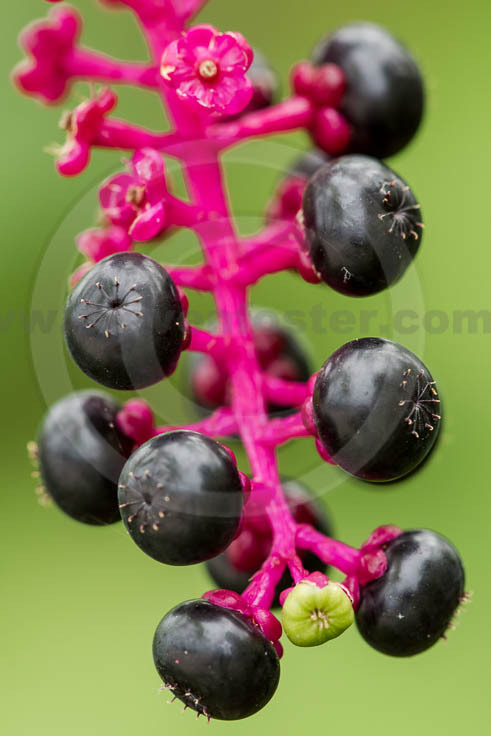 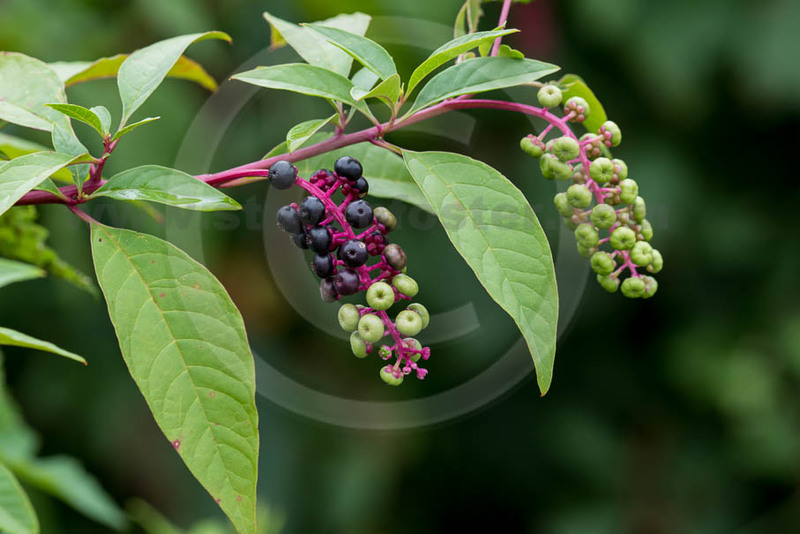 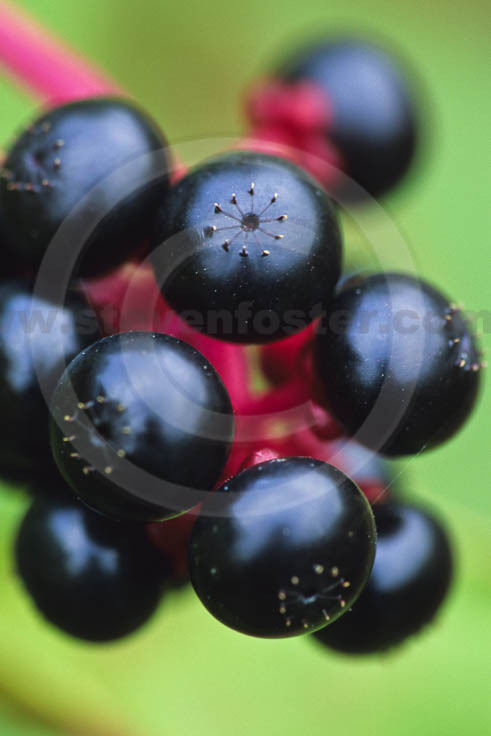 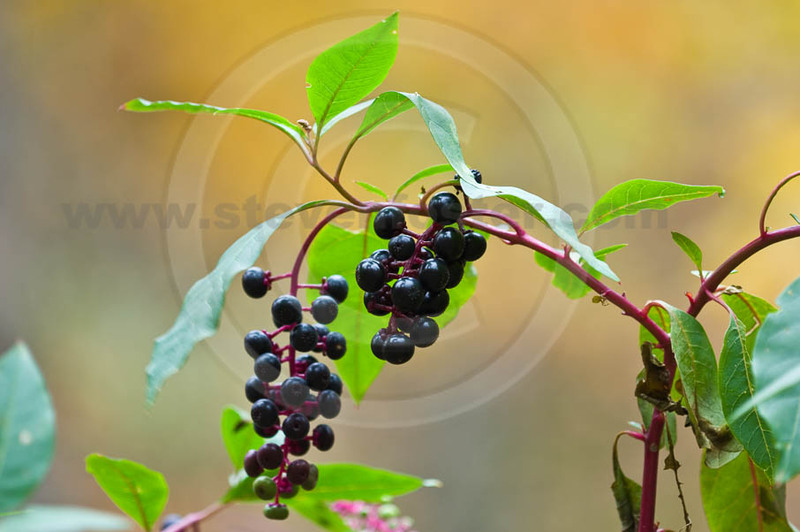 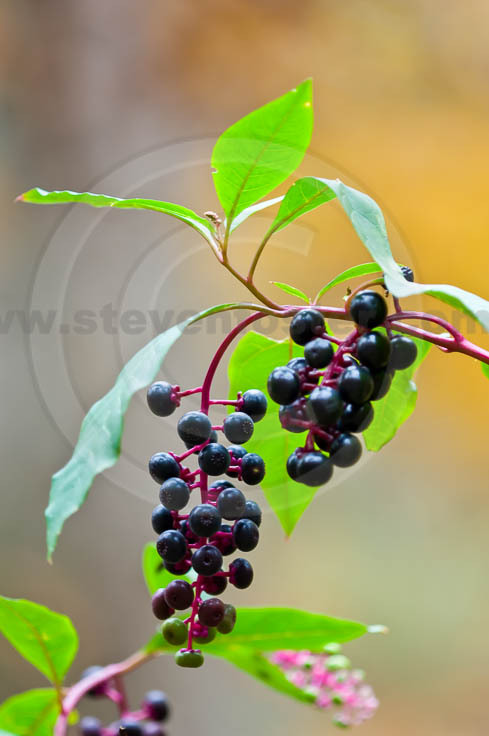 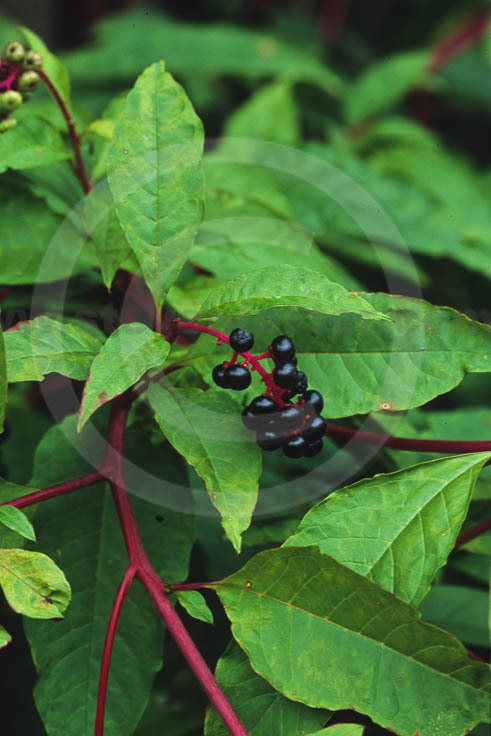 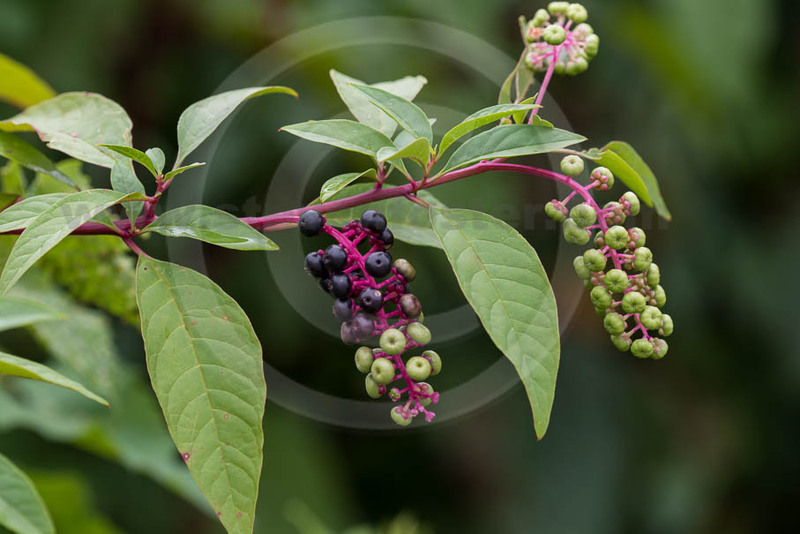 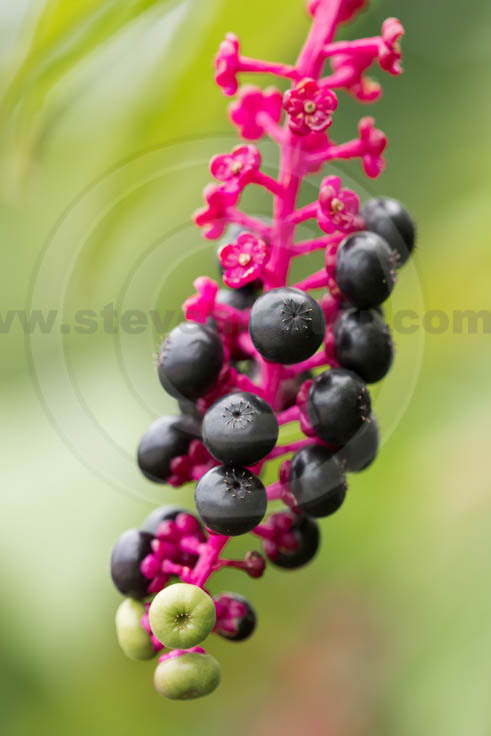 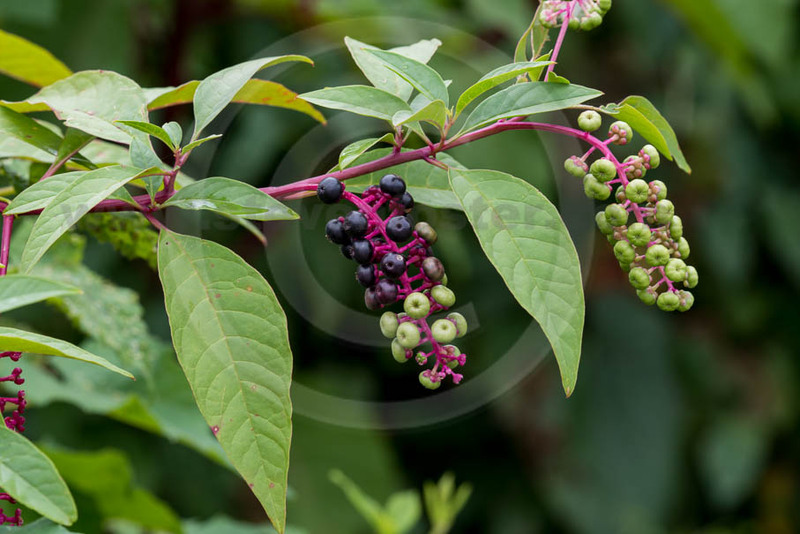 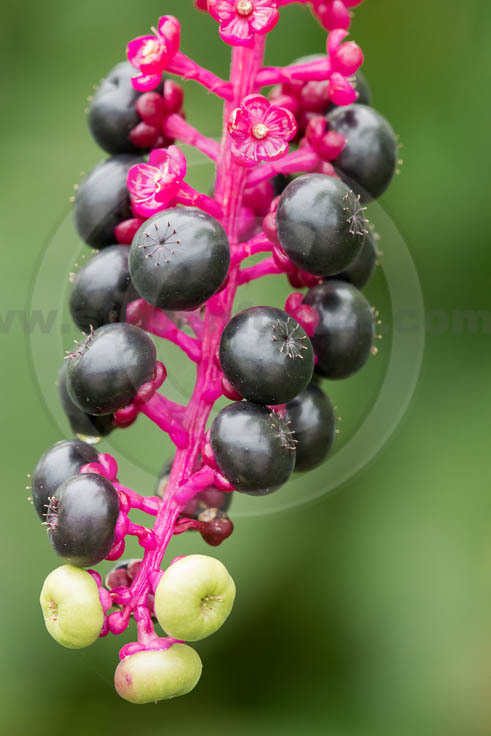 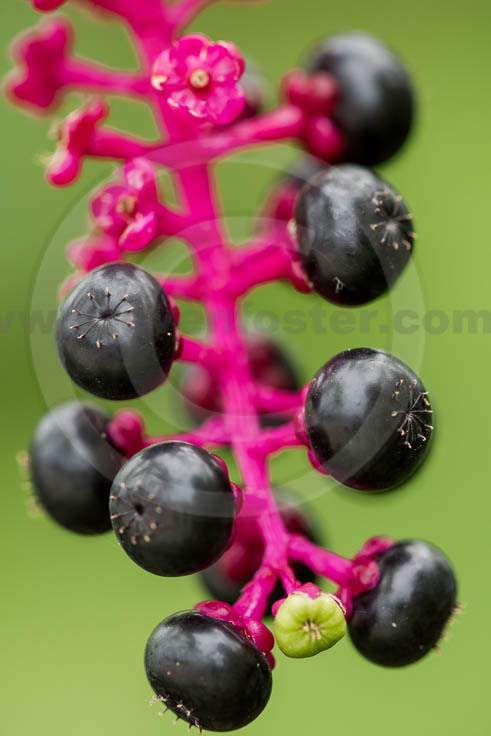 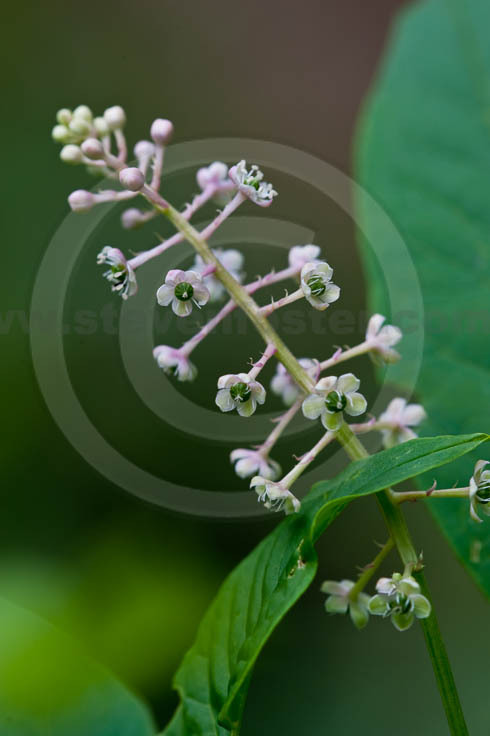 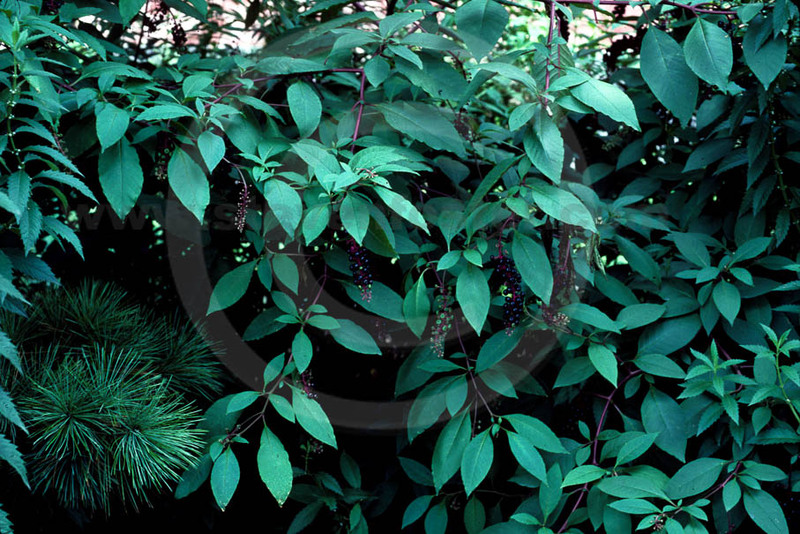 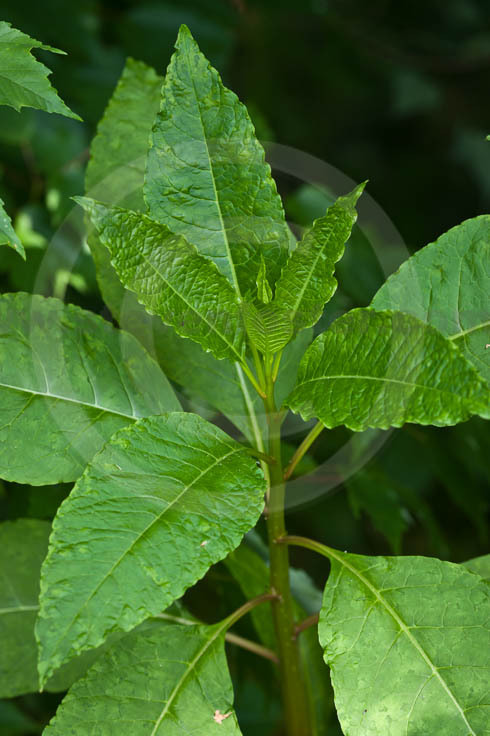 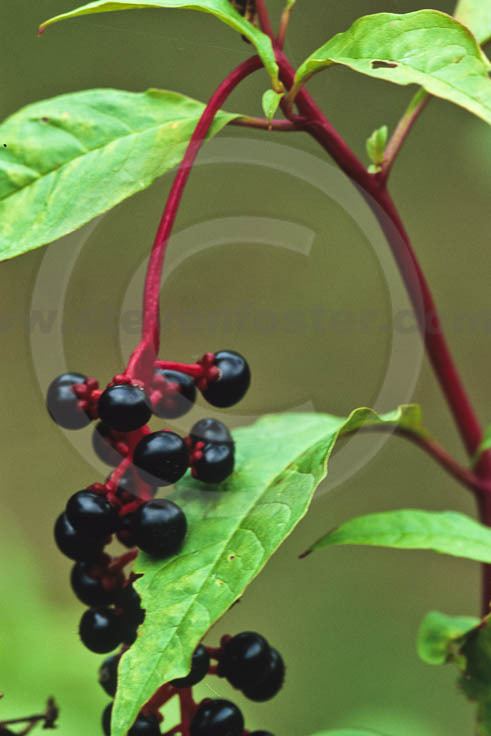 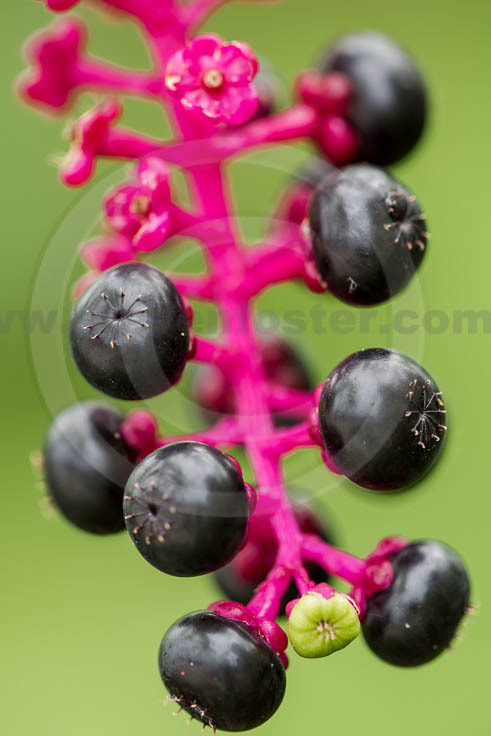 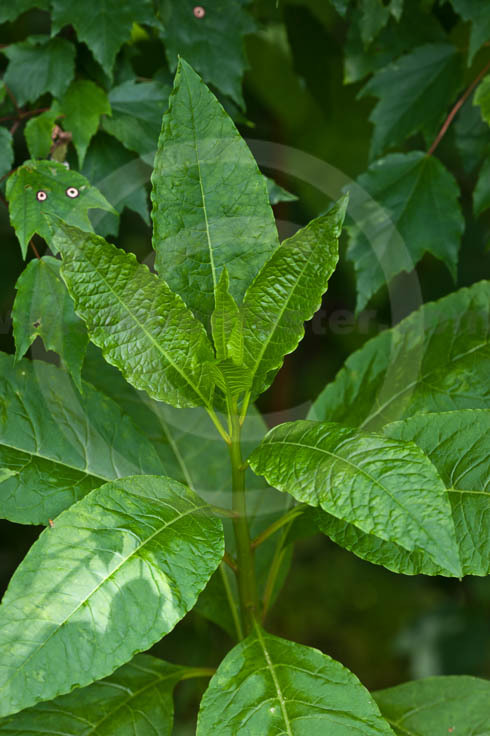 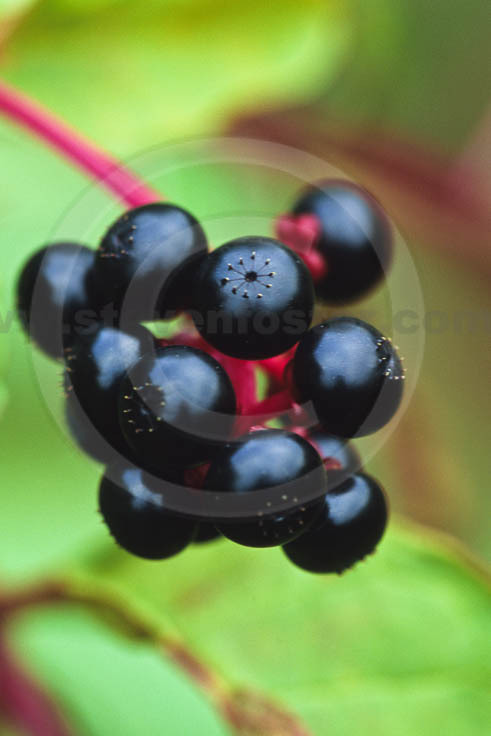 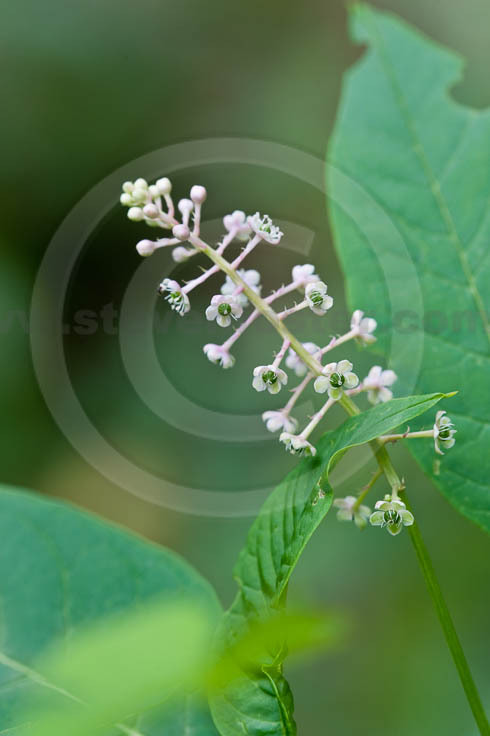 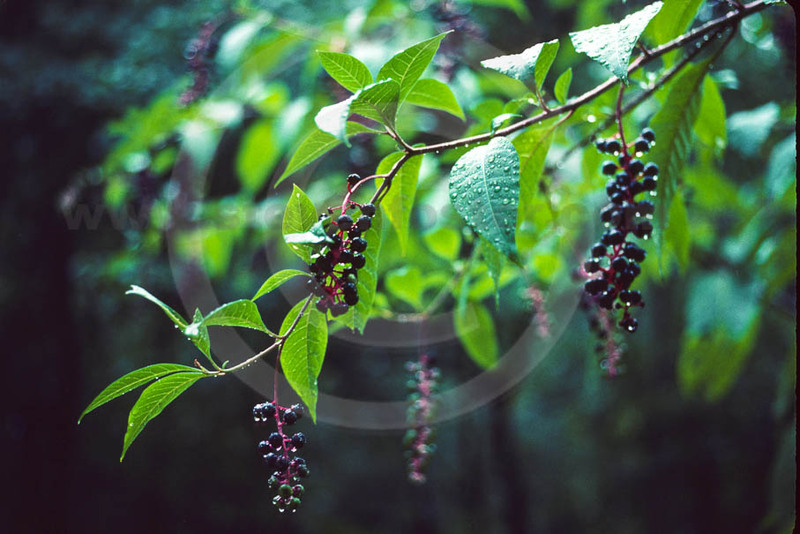 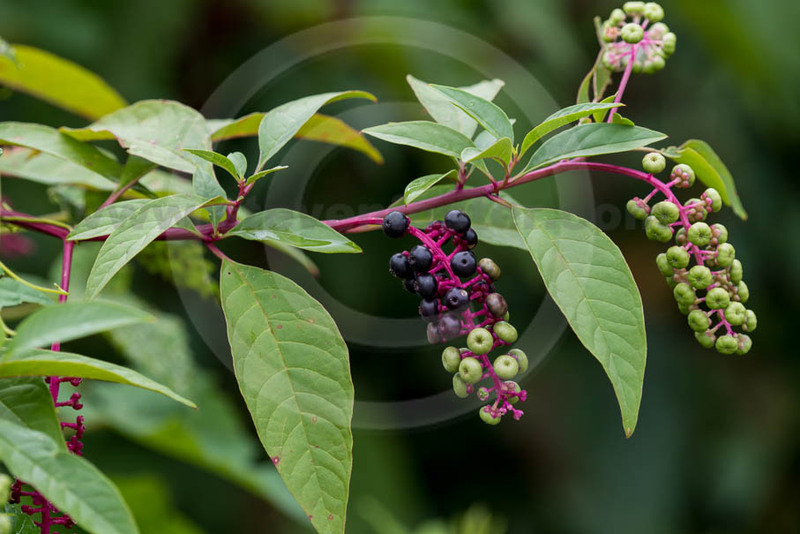 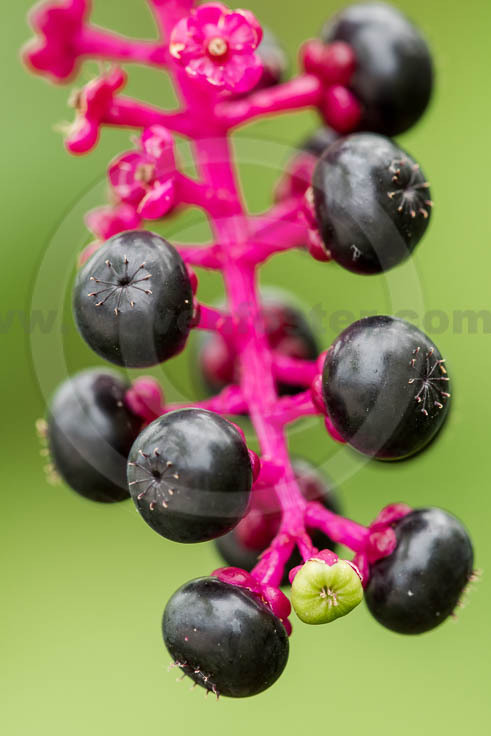 Phytolacca americana Poke, Pokeberry, Pokeweed, Pokeroot is a folk medicine in the Ozarks where consuming a single pokeberry a year (and spitting out the seeds) was used as a preventative for or to treat arthritis. 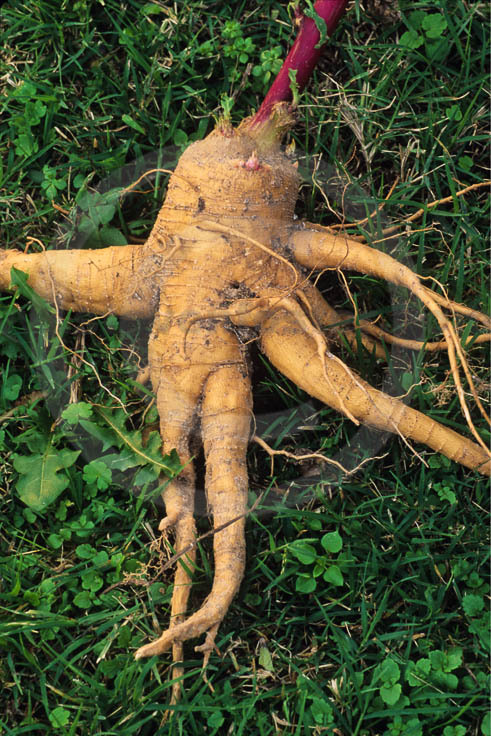 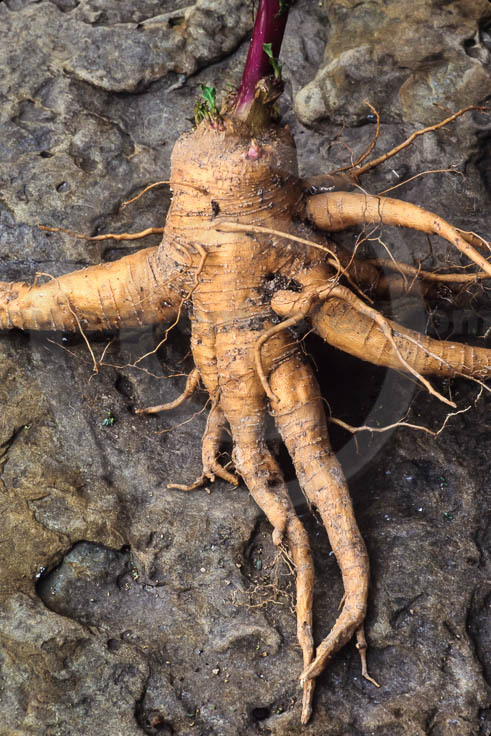 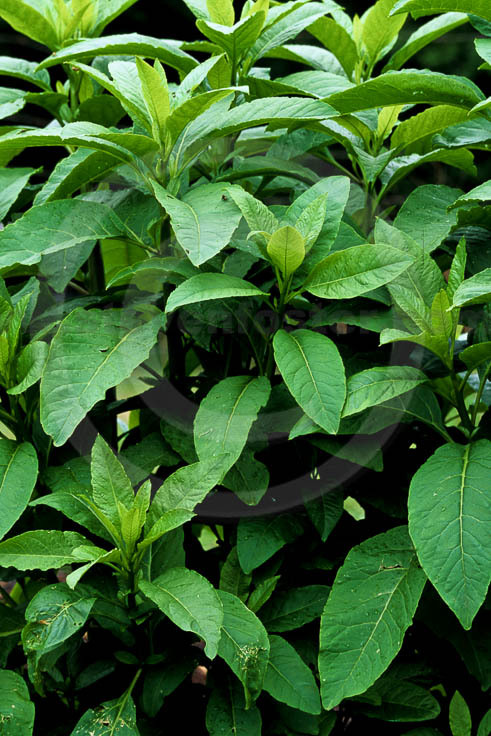 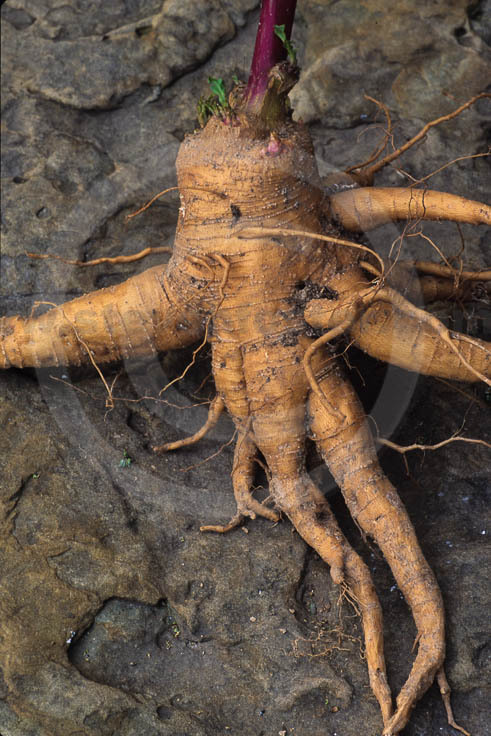 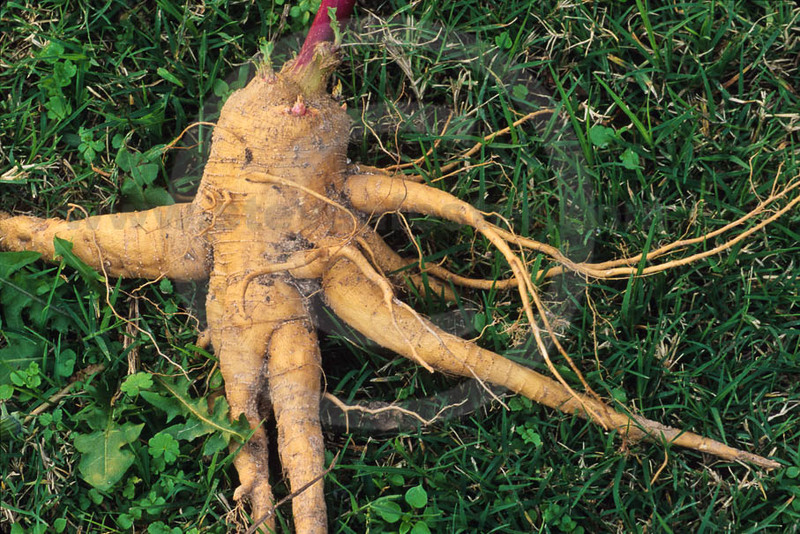 Root poulticed for rheumatism, neuralgic pains, and bruises though may cause contact dermatitis and allergic reactions. 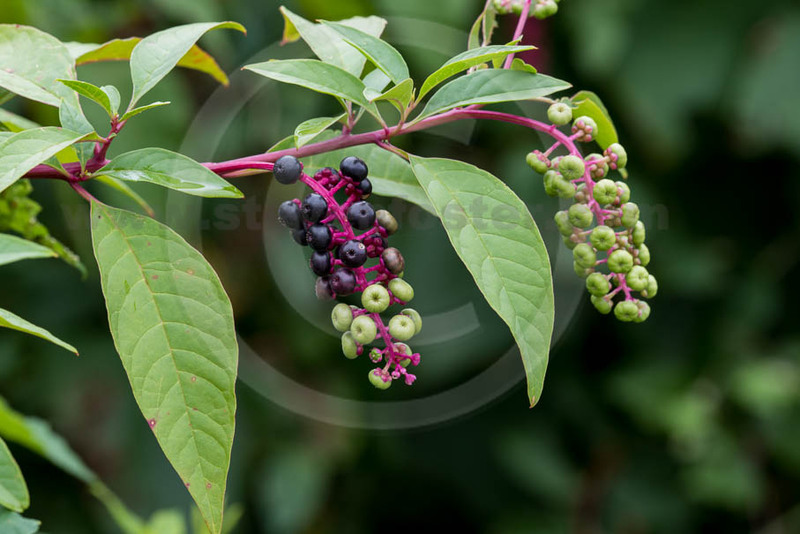 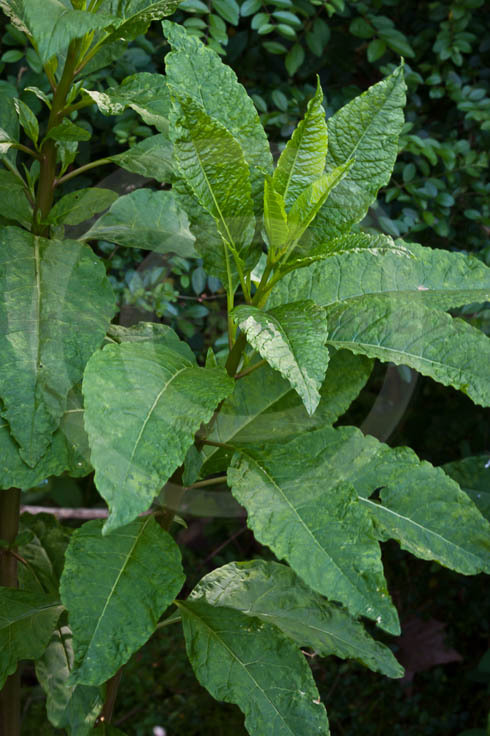 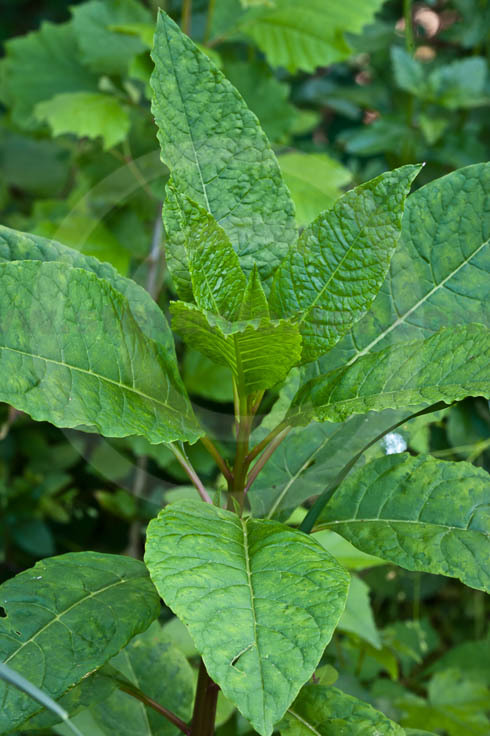 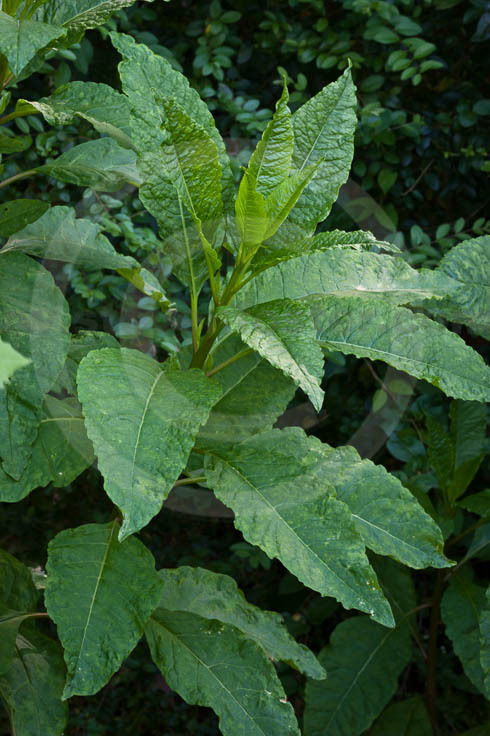 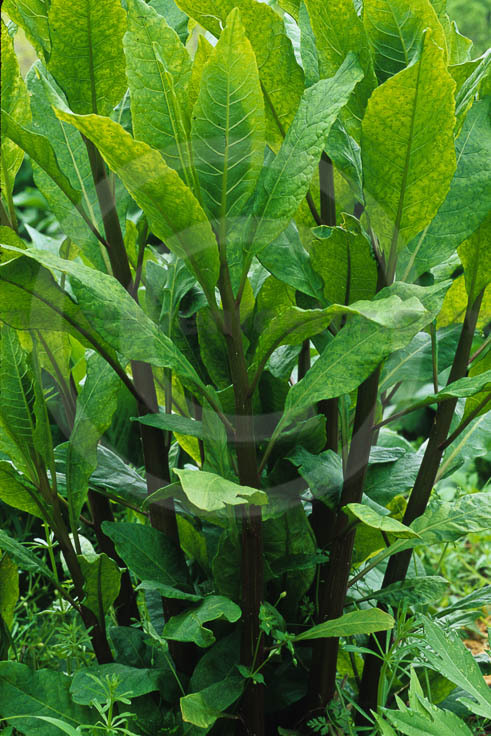 Root and stem bark contain a highly toxic Pokeweed mitogen, investigated for potential therapeutic use. 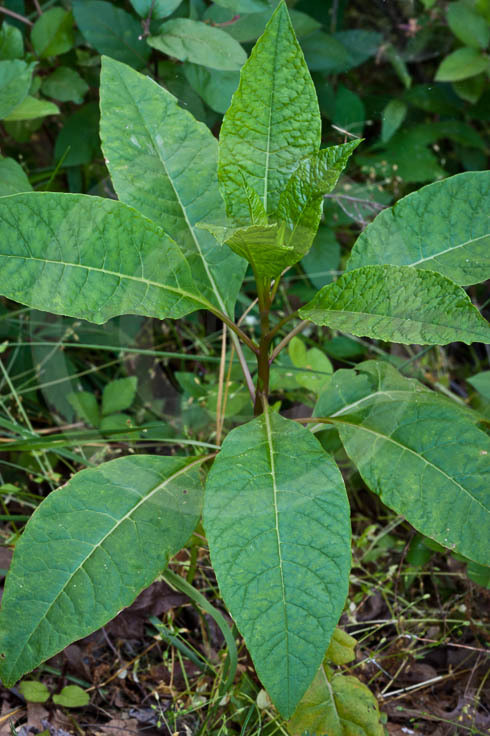 All parts are poisonous, though leaves are traditionally eaten in the South as a spring green, after cooking through two changes of water. 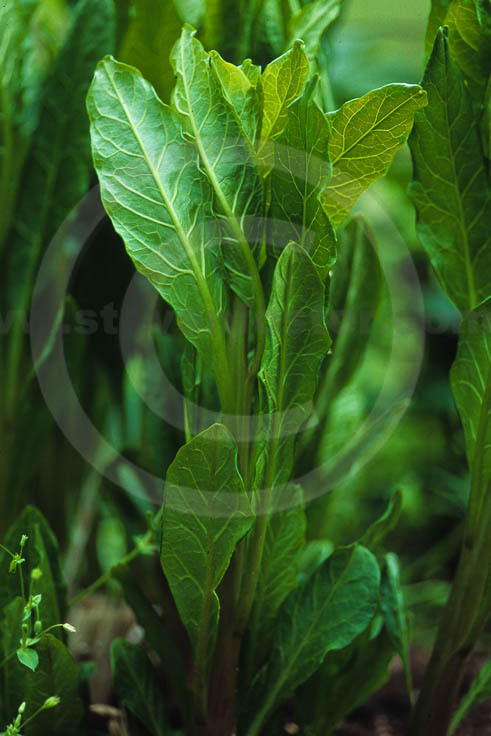 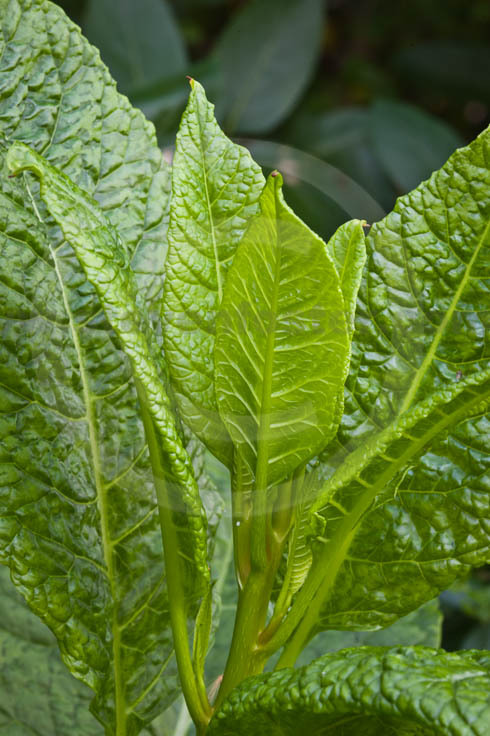 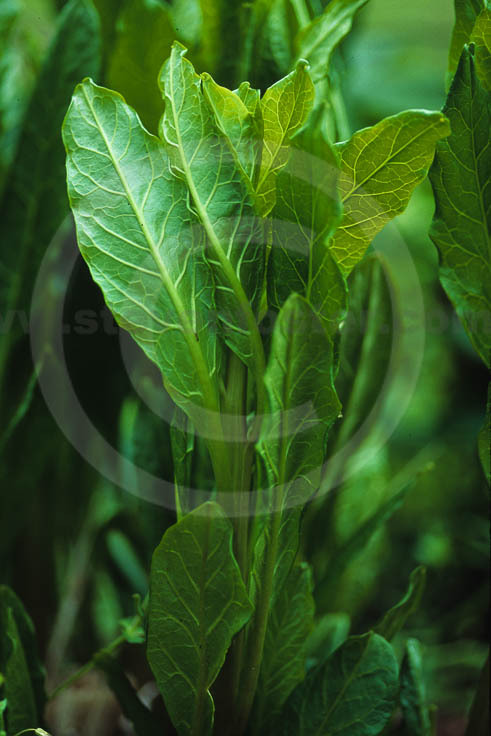 Introduced to Europe in the seventeenth century and grown for leafy greens. 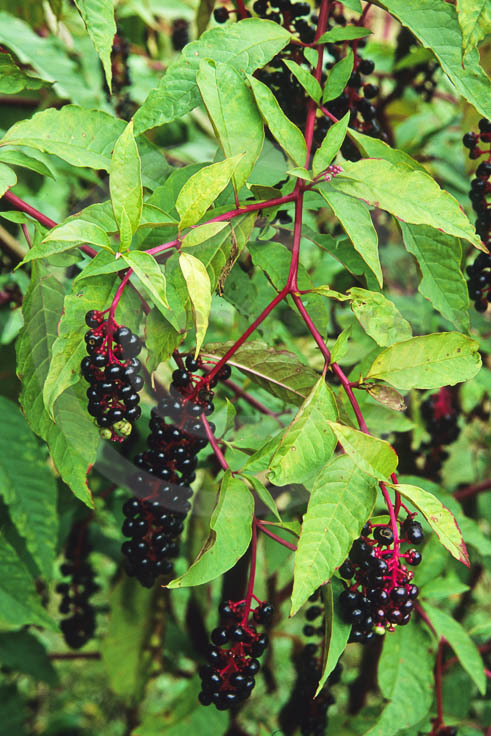 Purple berries with seeds removed was used as a coloring adulterant for wine in the 1700s, in both Portugal and France, where the practice was banned by the monarchies. 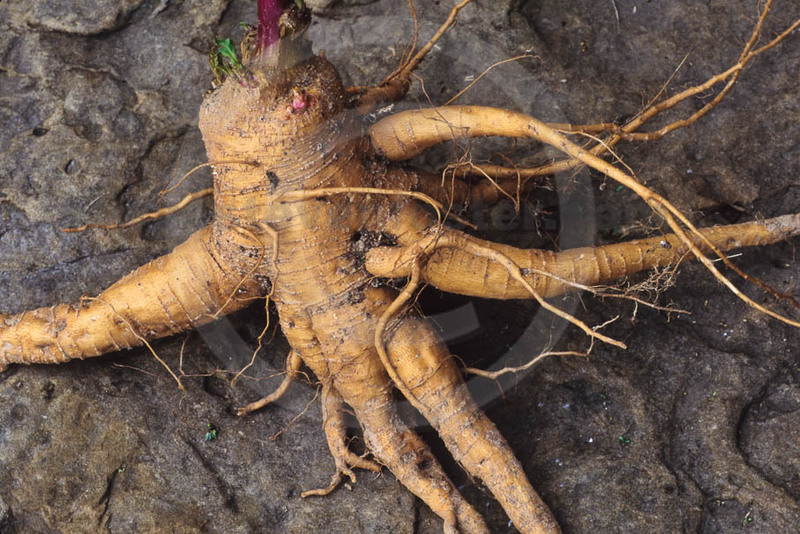 An edict of Louis the XVI prohibited this adulteration under penalty of death.